Dennis Marshall heads up the Men's Ministry at T.I.C & has been in active ministry for over 15 yrs. His passion and commitment is unwavering for lost souls. T.I.C. 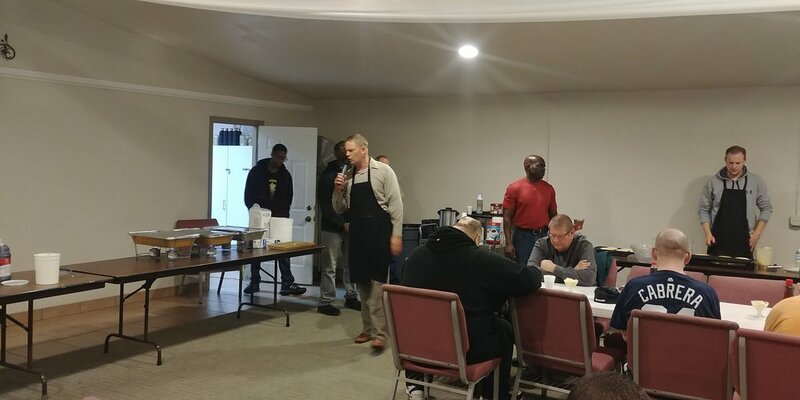 Men's Ministry is designed to help men grow in their relationship with God and to fellowship and connect with one another. There are many men who have the wrong idea about church and what God has called them to be. T.I.C. wants to show them that they can have a great time through events designed just for men as well as providing low key atmospheres to ask questions about the life issues and the Bible. Throughout the year, there are many events planned such as, a night at the range, an afternoon of basketball, and smaller group meetings in homes. T.I.C. is very blessed to have men that are involved in ministry and are great leaders in their homes. By sharing testimonies and getting advice, men have grown tremendously in God. "We all come from different backgrounds but we all have the same greatest need!" When we come together, we often find that we have more in common than we realized! It is my goal to help them grow in relationship with God in fun and exciting ways! Come on out and tell us your story! We would love to get to know you!" 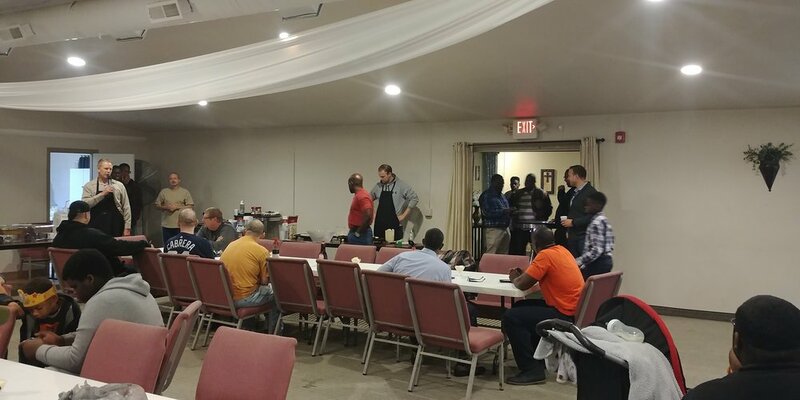 This was a prayer breakfast hosted by the men's department, what a great time of Food, Fellowship, & Fun. Another outing that we had was a chili cookoff, you can see the contestants and also the champion passing along the trophy. We believe in having fun, but in all things we honor God.